TechEd Europe 2010–if you’re there we could meet! After 5 years of TechEd abstinence it’s time to visit the conference again. 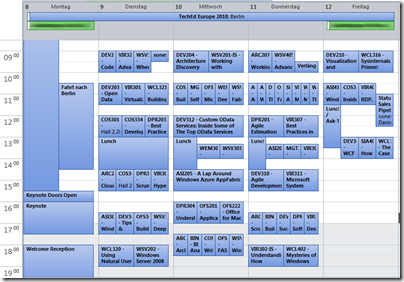 This years TechEd will be held in Berlin which is quite nice since traveling will be reduced to a minimum. 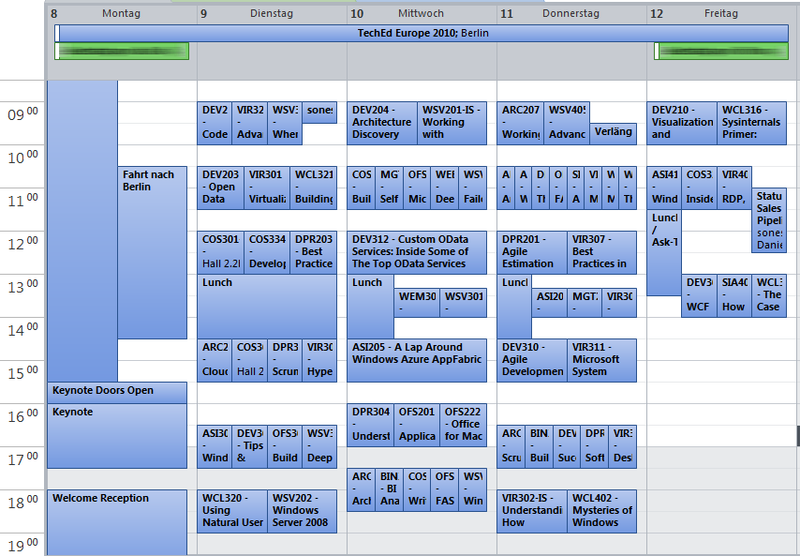 Since the session schedule is already available I’ve already filled my calendar for TechEd week. Okay it’s impressive to see that so many interesting sessions can be held in one week’ – the bad thing is that I need do decide which to go and which to watch on video later. On later notice: Since I will be there it would be a great opportunity to meet. Let me know if you are there and want to meet.